See you at Exporail (2018)! 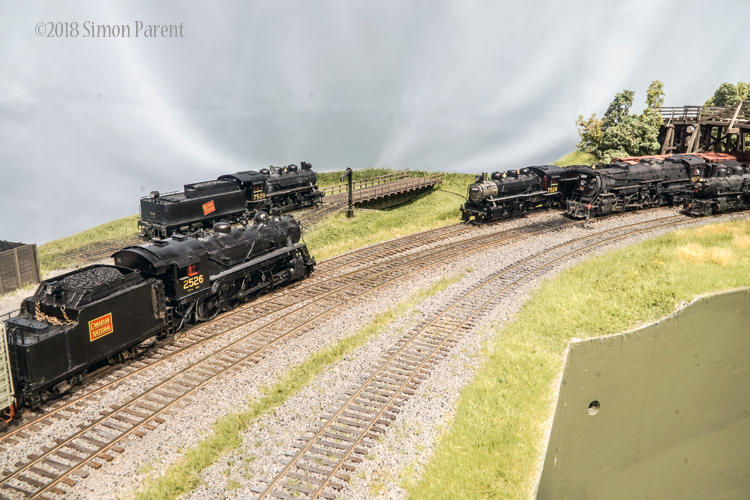 Once again, members of the S Scale Workshop will be at Exporail - the Canadian Railway Museum - to take part in the museum's annual model railway celebration, A Great Passion for Model Trains. This year's event takes place August 18-19 - yes, next weekend. You can find out more information on the Exporail website. 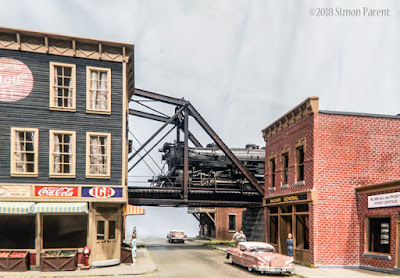 This year, the S Scale Workshop exhibited at its third NASG Convention, and we were set up around the walls in the dealer hall. The NASG conventions are always in the United States, and this also marked the fifth time we have displayed the Workshop layout in America. This was also the first time we could call ourselves a truly international group! Our three new U.S. members all rallied to the call and brought modules. Jamie Bothwell and Jeff English brought modules which are functional but still need the scenery completed. Jamie did some work on his scenery during the show, which some people remarked was instructive. Jamie with his in-progress module. The waves drawn on the base of the river are a nice touch! Jeff with his in-progress module. An interesting skewed through girder bridge carries the railway over this road. 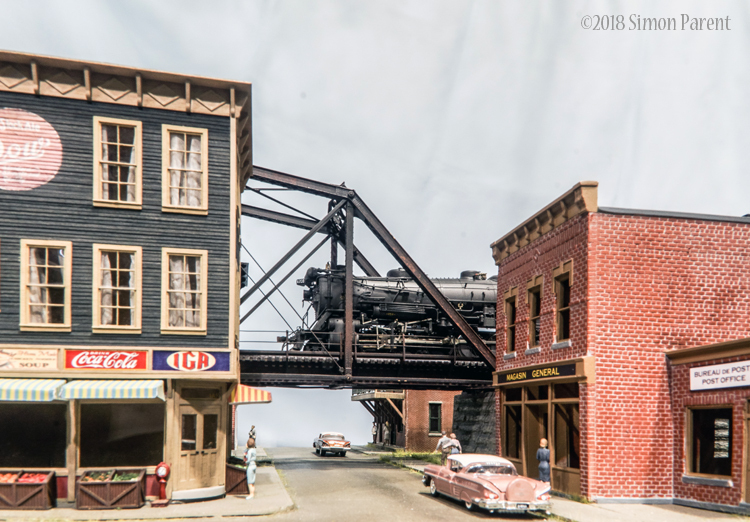 Claude Demers contributed a complete module, using structures from the layout of the late Frank Titman - a well-known modeller instrumental in keeping S scale alive during the 1960s and 1970s. Claude's module is a nice tribute to Frank. Some of Frank's structures on Claude's module. The three Americans were joined by a number of our Canadian members. Simon Parent, John Johnston and I brought modules, while members Brian Nicholson, Darby Mariott and Paul Raham helped keep the trains running and the convention attendees entertained. 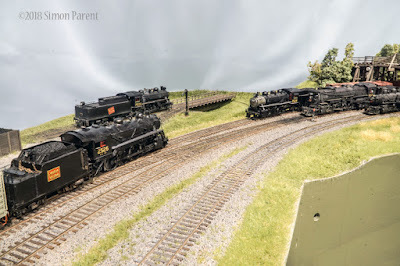 We felt we had a good response to the layout and trains were running all the time. I wonder how many other modular groups are international? At any rate, it will now be easier to display in the United States and of course our American members can display any time they like south of the border - regardless of whether the Canadians are on hand.